I am opening this blog with this well-known quote by Guy Kawasaki. I believe in the essence of what he is trying to say, especially in relation to online communications. All too often when agencies are approached by clients to commission content for their online channels (or to set them up if they don’t have any! ), the subject of content marketing is broached, and all too often the results can be pretty poor at best. There are of course many reasons for this. Some agencies fail to listen to clients in order to follow their own agenda. On the other hand there may be clients who are simply either uncooperative or have an unclear marketing strategy, but very often content is left in the hands of copyeditors whose jobs is merely to churn out an agreed number of words so that the client can be billed accordingly. Aside from the obvious grammar checks and perhaps even SEO ones (long tail phrases to please Hummingbird, keywords, links, etc) not much attention is really paid to the actual engagement value of the piece in question, especially if this is gets published as a blog. Little wonder therefore if much of the stuff which is pushed online is hardly ever read, aside from authors and a few other diehard individuals. But what is the point of that? If the writer doesn’t have a real ‘feel’ for the subject in question there is no way that proper value can be transmitted and it’s unlikely therefore that readers would find the piece engaging. Some of the blogs you read, especially B2B ones, are like re-reading an instruction manual, full of facts and figures, but hardly the sort of stuff you’d want to pass the time with while travelling for example. 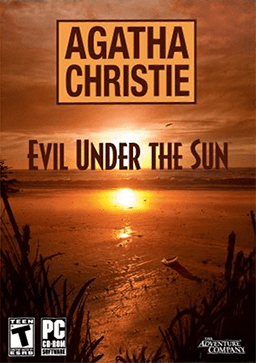 Now I am not suggesting that everything should be written in the style of Agatha Christie of course, but passion, and even fun, should always be part of a blog. It is after all about knowing the author as a person too, not just the topic itself. This is why the best and most successful blog channels are also the more controversial ones, because those authors really feel the intensity of emotions (and knowledge) for what they write. For a third-party writer therefore it may be quite difficult to feel passionate about a small gadget they don’t own or have made. A good PR and Marketing Communication agency should always evaluate whether a blog is indeed the most appropriate channel for this kind of conversation and whether there may be other ways instead. High search engine ranking isn’t just achieved by churning out masses of text, but by a variety of other factors which would be too long to enumerate here. Instead of trying to win the battle for dominance, pros in the public relations and search engine optimization fields should be learning from one another. As this article quite rightly states in its opening line, the recent algorithm change by Google has ruffled a few feathers, especially in PR circles. Much of it is speculation, more so as very few know what Google is really up to and how the next upgrade might even change the goalposts yet again (I speculate that more emphasis will be placed on cross platform and mobile integration). What surprises me is all this talk about ‘quality’ as this was an attribute that had just been discovered and not something everyone should have been concerned with from day one. It was always known, for example, which were the most coveted links; just as we always knew that if we provided really informative, engaging and easily accessible content there was a much higher chance of it to be ranked highly by Google. So what Google has done is to root out some of the bad practices. Some of these included rebroadcasting the same news item across many channels, in the hope it would make it to the top of the first search engine page, regardless of whether it was really newsworthy. This is now history, and good riddance too – it was just spam under a different guise. We are all agreed that quality content is king. Yet producing truly original content requires a professional approach, in depth understanding of the product or service on offer, the target audience and of all other related marketing issues. It is an inherently expensive process, but then this is what quality is all about – ultimately only quality customers and quality agencies/consultants will survive. We have a hard time keeping up with e-mail. This isn’t an earth-shattering secret. I’m sure PR pros have a hard time keeping up with e-mail, too. I don’t know about you, but these days I feel the number of articles on how to deal with journalists is on the increase. This is one of several, though this time written by an insider. In my many years in marketing, communications and PR I have come across countless journalists. For my sins I have even raised one up. So I am somewhat closer to the profession, if anyone can ever be because one of the key things I have learnt about this body of people is that it’s made up of fiercely independent individuals. You can approach them in any way you like, provided it’s their favourite one (email, phone, fax, postcard… it doesn’t matter, they each like something different). Their individuality may also explain their innate dislike of press releases. They may publicly, gritting their teeth, admit to their usefulness (seldom that they like them), while always nitpicking about ideal formats. In reality they loathe them, as they prefer scouting for news themselves and like all boyscouts they’d rather eat their own burnt sausages, than buy ready made ones. Finally, I think many communication experts live in awe of journalists. This may be because some of them may have always longed to be a journo themselves, but I may be wrong of course. In any event this tumultuous love/hate relationship is a complex one and for these reasons this topic will continue to generate many more articles. Change is something which is inherently built into our human experience. It isn’t just people that change, but companies too. Organisational changes, however, are notoriously difficult to manage. Most companies are for the most part reactive, perceiving changes as threats, rather than opportunities. At a broader sectoral level (professional or market), the pace of changes may be akin to a lava flow, and could be just as destructive if mishandled. Entire libraries have been written on change management, so this complex subject will not be touched, I am simply bringing together a few key issues affecting PR and marketing. It’s by necessity a longish piece as the themes are many. This is the ‘big secret’ that nobody dares speaking about. A few months ago a distinguished researcher from the Chartered Institute of Marketing, published an article on the convergence of sales and marketing that caused furore among both salespeople and marketers. But why is this such a big deal? So what if some tasks are shared or merged? Maybe in this new converging world innovative working practices could flourish. In many businesses PR has been perceived by some Senior Managers as a component of the Marketing processes, so one could argue we already have some convergence between these two disciplines. And a broader convergence may, arguably, even help PR professionals. In this respect, these days in the UK at least, you can barely tell the difference between a PR consultancy and an Integrated Marketing Communication one, bar perhaps the order in which key services are displayed on their respective homepages. Convergence, therefore, may already be with us, we just need to get used to it. There is no doubt we are witnessing a fundamental shift to online media. The mere fact this insignificant piece is a blog is a testament to the type of interaction we expect these days. So there is no denying that this process of transformation is now well advanced. Newspaper circulation is declining rapidly and we know that people are accessing news and other information (including books) through a variety of online sources. Media moguls have attempted to resist this shift by creating paywalls, but these are a mere palliative, akin to a middle ages exorcism to ward off evil spirits; in this instance the spectre of free online access to content. As for profitability who knows if paywall really provide the required revenue streams to run a fully fledged news operation. So the jury’s still out even on this point. Early this year the CEO of the Financial Times gave a talk in London precisely about the future of print media. Behind the usual veil of platitudes it was clear that the FT was reinventing itself as a sophisticated data management and acquisition company first, with a news slant as just a component of the whole business. But the demise of conventional print has caused real headaches for many PR professionals; old rules are out and new ones are in and the goalposts are continuously shifting. An inexpensive and clever social media campaign can generate far more public awareness than a costly and intensive print media PR one, indeed these days the former may often drive the latter. Responding to this change requires much imagination and the learning of new processes, as well as the bringing together of multidisciplinary teams. It all started with the humble email, which then morphed into an email newsletters and so on. We now live surrounded by a multitude of social media channels. How many do you follow in a day? As PR professional you have probably lost count, especially if you added those you have to access for your clients too. We hazard a guess that these days communication professionals spend as much (or more) dealing with social media than writing of news releases. Each channel generates its own amount of information and interaction too, adding to the demands. Websites these days seem almost old fashioned (there are indeed speakers already saying that ‘the web is dead’). Audiences demand online interaction, not just static information. Customers expect to be able to leave reviews, with companies reacting quickly and 24/7. The challenge for communication professional is immense. In the ‘good old days’ you just had to read the press, pick up the phone and speak to a journo… now savvy PRs have to keep looking across a panoply of channels, attempting to identify what is really interesting from the background noise. I wanted to talk about Big Data as this is a consequence of the previously covered topics. 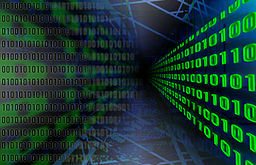 All our communications are digital, effectively made up of a sequence of 0s and 1s (just picture this next time you are listening to your favourite music channel); little wonder we now have the ability to generate and manipulate massive amounts of data, i.e. ‘Big Data’. These days you can access all manner of sophisticated analytics. Indeed communication professional could be responsible for veritable ‘data indigestion’ episodes, if not careful. How do you select appropriate data and how easy it is to use so that your clients can relate to it? In years gone by we just had Advertising Value Equivalent as one of the PR benchmarks, now – naturally – you’d be laughed off the Boardroom if you even mentioned it. But what parameter replaced it in terms of ease of understanding? A while ago I came across a book that I can thoroughly recommend if you were ever interested in analysing ROI on social media. It’s titled, unimaginatively but appropriately, ‘Social Media ROI’; it’s a commendable read and one that every serious PR should study. Delving into it you’d realise that taking such professional approach to social requires a great deal of discipline, not only among PR and comms experts, but among clients. How many of your clients possess the sophisticated sales processes required to gather and analyse data (major corporations excluded)? And you don’t need to be a statistician to know that it’s dead easy to create correlations, but much harder to (dis)prove them. With such a vast array of new processes at our disposal it’s obvious that knowledge is more fragmented than ever. This book, published as far back as 1998, had already highlighted some of the issues at stake as well as other scholarly articles on the subject. Arguably organisations like Google, Microsoft and Apple have the ability to sift through the Big Data, joining up all the dots in order to recreate their version of the bigger picture (Infographics are a reflection of an attempt to simplify such complex realities). But these are businesses with almost infinite resources at their disposal and even they get things wrong from time to time. For PR professionals knowledge fragmentation has been a real headache, requiring the acquisition of a variety of new skills. It’s now unthinkable to expect that a single professional could possess all the knowledge required by today’s PR operations. So generic activities are split into areas of highly sophisticated specialised knowledge. In this scenario senior managers have to demonstrate an ability to lead multidisciplinary teams with common sense, passion, charisma and even good humour! Only 30 years or so ago the bulk of goods bought or processed in one country were manufactured either locally or maybe by its close neighbours. These days you don’t need to buy complex electronics to become aware that even foods come from all over the world. Trading has become a key component of 21st century living. Some goods are transferred several times from one country to another in order to be processed just before they reach consumers. Borders are porous for communication messages too. This can posit additional challenges. While English has now become the ‘lingua franca’ of commerce (just as Latin was the lingo of knowledge a couple of centuries ago), many basic communication nuances are still present. You don’t have to work for HSBC to become aware that linguistic concepts hide far more complex cultural subtleties. For PR professionals just rooted in one country this can present some problems when attempting to operate across several cultures. Paradoxically we are in the middle of two opposite forces, a centripetal one that pushes us to look at the big picture and a centrifugal force that compels us to break everything up in manageable bites. In such muddled scenario we can only hope to progress through the active sharing of knowledge and even work. Such collaboration can occur at various levels. Some of these models have led to the development of open source software applications, others to more industrial based processes of so called ‘appropriate technologies’ used for sustainable and environmental projects. Crowd sourcing expertise may become a necessity, especially if information is located across the world and needs to be made available 24/7. PR networks can offer professionals an opportunity to exchange commercial intelligence and to collaborate across different skills, bringing expertise that would otherwise lack in a single entity. This was meant to be a short piece, but it soon became clear that there were far too many ‘changes and challenges’ that had hit communication professionals over the last two decades. I am certain there are many more, but even now we just see ‘through a (Google?) glass darkly’ – unaware of the real changes that are still ahead of us. This could be a frightening scenario for those who are uncomfortable about reinventing themselves continuously. Just take mobile communications for example. Currently encumbered by poor data infrastructure, but not hardware or software, once this final hurdle is conquered with full, fast and universal mobile data access a new set of rules will appear. Apps such as Google Now, when perfected, will enhance users’ experience by actively pushing information before there is even conscious awareness to receive it. Who will control (or prioritise) this flow of information and how will PR and communication professional tailor messages down to a specific individual or a very narrow population subset? Many of these questions do not yet have an answer. Yet resisting changes by failing to innovate isn’t an option. Those who are daring enough to jump into the scrum may learn to move on faster and with greater confidence. For communication professionals a more in-depth understanding of complex and novel technologies will be required, as well as a new approach to working practices. Will you be ready to move on with the times? I currently work in agency PR, having transitioned from in-house PR and MarCom a couple of years ago. My specialism is also B2B PR, with a further focus on engineering, science and technology. This means that I seldom deal with urgent news (except in incidents or accidents) and also that most of the information I digest and process on behalf of my clients is highly factual. My clients are scientists or engineers and my journalists are also for the most part specialists in their own fields, so precision is of the essence. Nevertheless, the message needs to be engaging (and these days also highly visual) so one of our daily challenges is how we can extract true features and benefits in a concise and absorbing manner, bearing in mind that some of the stuff may also have to be condensed into microblogs (a form of blogging but based on short content like Twitter and Facebook updates). Occasionally we have to deal with a situation familiar to most PRs in which we are asked to produce ‘non-news’ releases. This is often the case in companies where personalities, instead of good marketing, rule. In the vast majority of these cases we are able to persuade a client that it would be against their own interest to do so, or simply apply other tactics to stall and avoid issuing such releases. However, recently my company was fired by a newly acquired client for not pandering to the wishes of their MD to publish such froth. When a month later the newly appointed PR agency managed to get that company in Private Eye under the ‘Desperate Marketing’ section, we felt vindicated. The most difficult situations are those involving multiple approval processes across several organisations. You can guarantee that every PR and divisional manager will want to have a say and use a different angle. We have had instances of case studies having been delayed for a year or so while they were ‘under review’. Yes, not exactly the sort of cutting edge stuff that hits a newsdesk… more like the gestation of your classic academic paper! But aside from any misunderstanding between PR and journalism, we want to work to the best of our abilities to enlighten and instruct our audiences, providing them with good sources of useful and newsworthy information. There are of course rogues in any profession. In the world of PR, just as in journalism, our main challenge these days is the advent of digital communication. With technical media being increasingly published online, backed up by social media presence and our own clients’ social media channels, there is an awful lot of noise out there. So our job is made a little more complex as we need to spend a lot longer listening, evaluating, pushing and of course reporting too. And these days reports go way beyond basic stuff like Advertising Value Equivalent (AVE) as well as entailing other metrics like Audience Engagements and more. Not that all this huge amount of data replaces the old common sense approach and an innate instinct for news… but it just makes our job easier when we have to persuade financial director on how they should spend their money. Welcome to the world of PR. On return from a short break I came across the article on Measuring PR in Marketing Week published at the end of May, among the inevitable backlog of reference items one finds at such times. While most of the dross was duly binned I thought that this timeless piece of PR debate deserved some observations. Reading the piece in question I found myself smiling as some of the discussions cited reminded me of Aquinas’s disquisitions on how many angels can balance (or dance) on a pinhead and similar medieval metaphysical essays. I have no doubt that while we now scoff at such topics, 13th century philosophers approached these issues with the utmost seriousness, probably throwing mud at each other in long illuminated manuscripts and – who knows – one or two may have even come to blows over it…. and so it seems now with the long debated treatment of ‘measuring’ PR. That we live in a society obsessed with measurement goes without saying. Yet while some things can be measured, others – such as beauty – simply elude measurement. As many ingredients that make up PR involve issues that are by definition subjective, it’s obvious that attempting to convert it to a rigorous science doesn’t work, but I sympathise with the desire to create some order and to ‘box it in’ mainly so bean-counters with limited imagination can make sense of it. I am not a keen advocate of AVE and I agree that its simplicity is also its downfall. In a previous incarnation – client side – I devised a statistical model that included some basic corrections to standard AVE parameters, such as weighing specific publications in terms of business potential and other factors that were of interest to the company I was working for. At the end of the day, although I may been hugely smug that the data I presented to my board was as accurate as possible and a true a reflection of how effectively our money was spent, including output/input correlations, it made no difference whatsoever. Whenever there was a crisis guess which budget was always going to be slashed first? Now I am on the other side of the fence and I can see how things work across a variety of clients. For example, I have come across clients whose main concern is exclusively with the quantity of output (and subsequent publication of course), as their decision makers are simply interested in achieving greater column cm coverage than competitors. The fact that some of the competition may be misguided is seldom taken into consideration. At the opposite end of the spectrum there are organisations that wish to be seen only in exalted scientific circles and nothing else. Therefore, quite how you would apply a common standard of measurement to such subjective range of options and choices is beyond me. My other concern about measuring PR is that a lot of the discussions are still focussed mainly around printed media (yes, I have read the article and I am fully aware that social media was mentioned!). But we are living in an era of changes. Editors are seeing their circulation figures drop by the minute and the entire marketing communications arena is being shaken to its core. Channels that were working (and could be more easily measured) a few years ago, have simply become obsolete and a quasi-anarchical status is now prevailing. Measuring any complex system such as online interaction in social media for example, especially as channels continue to diversify and mutate, will soon become as complex as predicting the weather, and meteorologists will tell you how laborious the whole process can be (despite the biggest computing power in the world being used by this profession, we are still far away from reliable predictive models). My own take is that the world of media will therefore become increasingly more chaotic, creating a situation where the study of its outcomes would be of greater interest to quantum physicists, rather than PR practitioners. I have therefore no doubt that such complex scenario will keep academics and senior executives in professional PR bodies happy and in business for a while, but while at best some temporary standards may appear, how long would it take before these became obsolete? And, above all, what would be their relevance in the real world? So while I am not saying ‘don’t bother measuring’, as clearly we are expected to demonstrate returns on investments to our clients, neither am I believing that having a common standard could possibly provide a panacea for our professional uncertainties and self doubts as an industry, or even a guarantee that our clients would make the right choices. History is indeed littered with evidence of choices at all levels that were often not made on mathematical evidence, but on mere perception of facts. In some instances we have to be grateful that was the case, or we may not now be around to write so freely. Let us therefore value perception more, as well as having more confidence that if our professional standards can’t be measured as precisely as those of a chemist, we are nonetheless relevant to the business arena in which we operate and we can make a real difference, but only if we act with knowledge, passion and integrity we will provide relevance to our customers.